Celebrating the life of Christian Louis Schmidt, Jr.
Obituary for Christian Louis Schmidt, Jr.
(Hensel) Schmidt in Seguin, Texas has gone to be with The Lord On November 12th, 2018 at the age of 66. Christian is survived by daughter Kristin Marsha (Schmidt) and Husband Earl Fox Pendleton of New Braunfels; son Christian Louis Schmidt III of McQueeney; sister in law Lillian (Joe) Schmidt; half-brothers John Henry and wife Deborah (Thivierge) Schmidt of Seguin and Robert and wife Patricia (Baranosky) Elley; grandchildren Esperanza “Hopie” Maria (Schmidt) and husband Jaron Nicholas Hohertz of Hopkinsville, Kentucky; Marylan “Nikki” Nickoel (Pendleton) and husband Colton Jacob Lewis of New Braunfels; Corbin “Binski” Louis Schmidt of New Braunfels and great grandson Dean “Deanie” Jacob Lewis. And many nieces, nephews, family and friends. Chris is preceded in death by his wife of 29 years, Maria “Mary” Ygnacia (Calvillo) Schmidt. Both his parents; three brothers, David Michael, Joe Allen and Jack Kenny Schmidt, six half-brothers; Hilmer, Cleburn Henry, Robert “DD”, William Arthur, Kenneth B. and Franklin Delano Schmidt; three half-sisters, Mildred Marie Hansmann, Viola Margaret Gotthardt and Lou Audrey Ramzinsky. 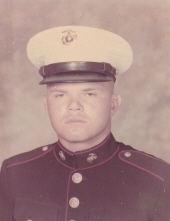 He proudly served his country in both the United States Marine Corps and United States Navy. He also worked for Lacks and Seguin Independent School District. He is a graduate of Seguin High School class of 1970 and San Diego College. A stubborn big-hearted man with an outstanding love of music. He shared that love on a few jukeboxes with his family and friends at local favorite bars; Bait n’ Brew in McQueeney and what used to be the Country Cabaret in Seguin, also making an appearance or two to his other favorite, The Oak in Seguin. Everyone will remember Tuga sitting by and playing the jukebox. As a child living by the Flour Mill and the bar Mr. and Mrs. Wahl owed, he climbed the old towers that were there and signed Tuga at the very top. He would also go to the Guadalupe River there and catch catfish and sell them to the guys getting off from work. A wild guy that Tuga was, telling stories or hearing guys from his high school days about the fights he would get into. He was super proud of his strength. A very strong man he was and a true fighter till the end when he went peacefully home. Now dancing the two step with our mom with both his legs and arms again. May he continue to play his beautiful music in heaven and we continue to hear it here on earth!!!! He will be greatly missed and remembered by many…. Visitation will begin at 1:30 on November 17th, 2018 at Eden Cemetery in Seguin, Texas, ceremony will follow thereafter at 2:30. Following the ceremony we will all head out to Bait N Brew to celebrate his new life beginning. We hope to see all his family and friends there. To send flowers or a remembrance gift to the family of Christian Louis Schmidt, Jr., please visit our Tribute Store. Viewing will be held from 1:30 PM to 2:30 PM on Saturday afternoon, November 17, 2018 at Eden Cemetery in Seguin, TX. "Email Address" would like to share the life celebration of Christian Louis Schmidt, Jr.. Click on the "link" to go to share a favorite memory or leave a condolence message for the family.